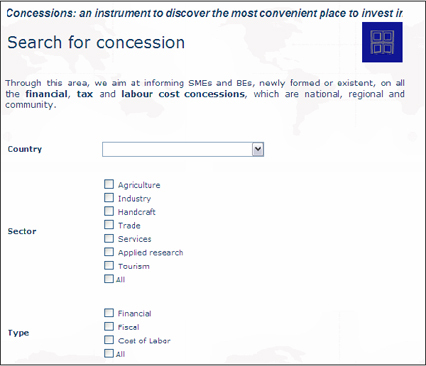 "Concessions: an instrument to discover the most convenient place to invest in." This service will allow you to obtain all useful information about fiscal, financial and labour incentives. 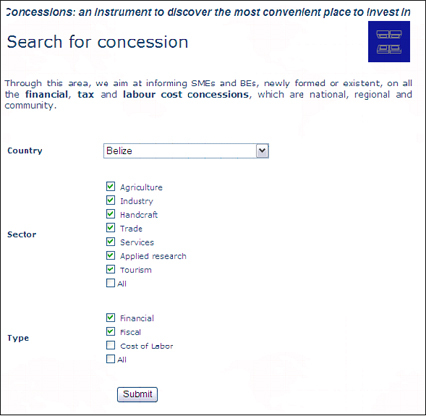 and specify countries, sector and type of concession. 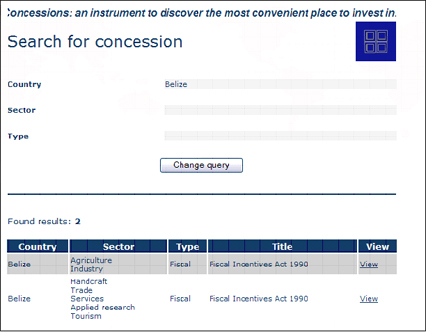 Then click on View to read all the information about the concession you are looking for. The outcome will be a PDF file that will give you all the information you are looking for.